It was tight, let me tell you. 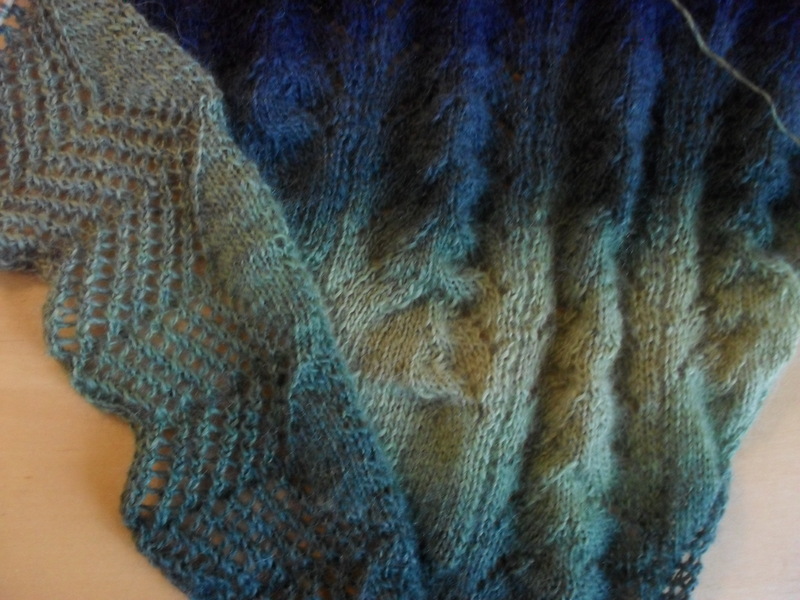 When I started the edging, I was pretty confident that the yarn would be enough. I actually even envisioned what a hexipuff would look like, made from the left overs. Then, the further I proceeded the more nervous I got. 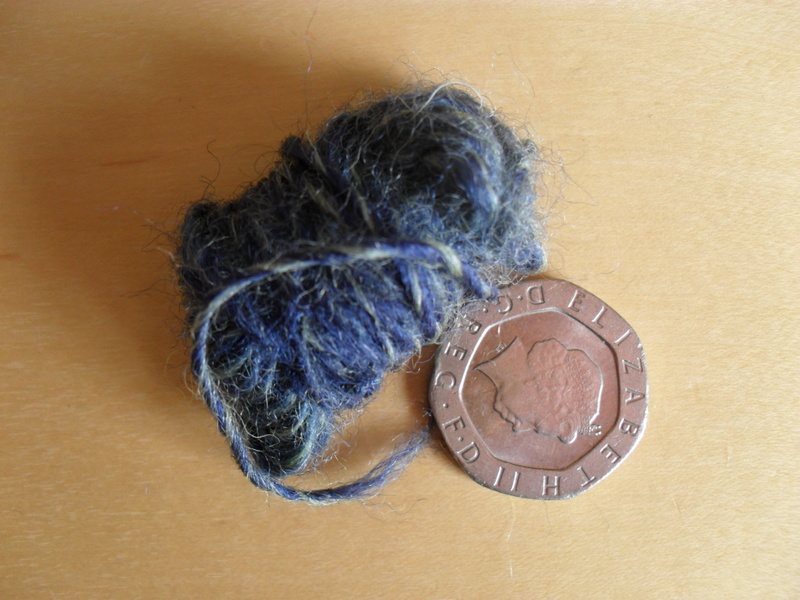 The ball of your shrunk and shrunk and shrunk. At some point, I was convinced it’d run out about 1.5 inches away from the end. I began debating whether that justified buying a whole new ball. 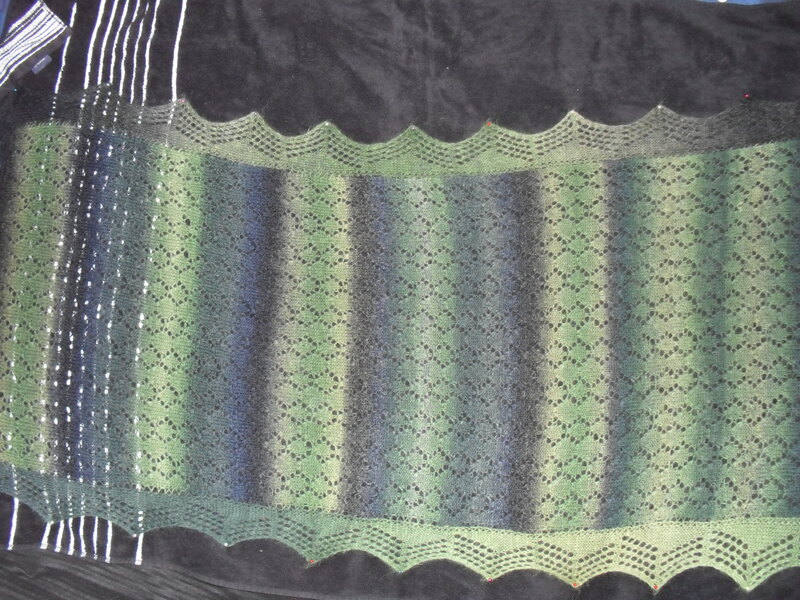 Maybe I could plead to my fellow knitters on the internet, and maybe some kind soul would have a bit of leftover yarn they’d be willing to donate to my shawl? Currently, it’s blocking on my bed (I have doubts about it being done blocking by the time I want to use my bed, but it was the only place large enough to stretch it out. Where do you folks block your lace? 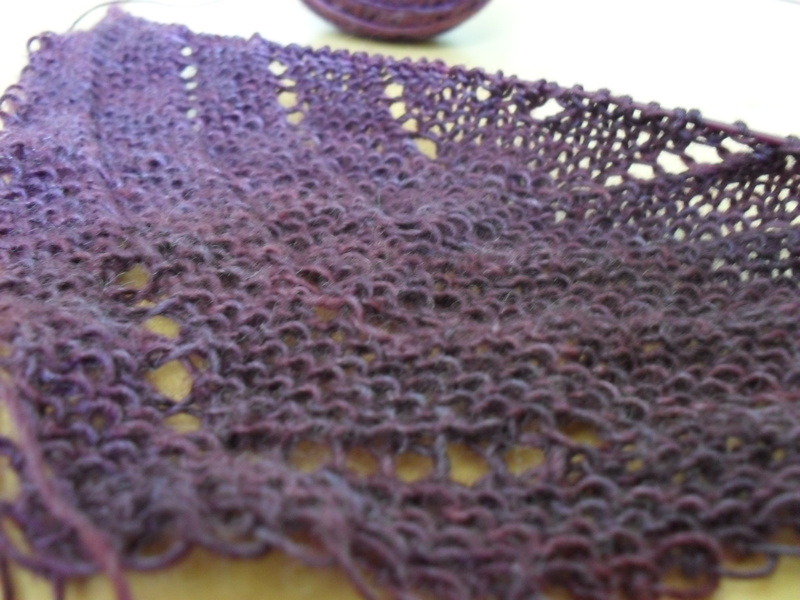 This is the little shawl I’ve been working on in the last few days. Yes, I know – I didn’t really need any more WIPs. 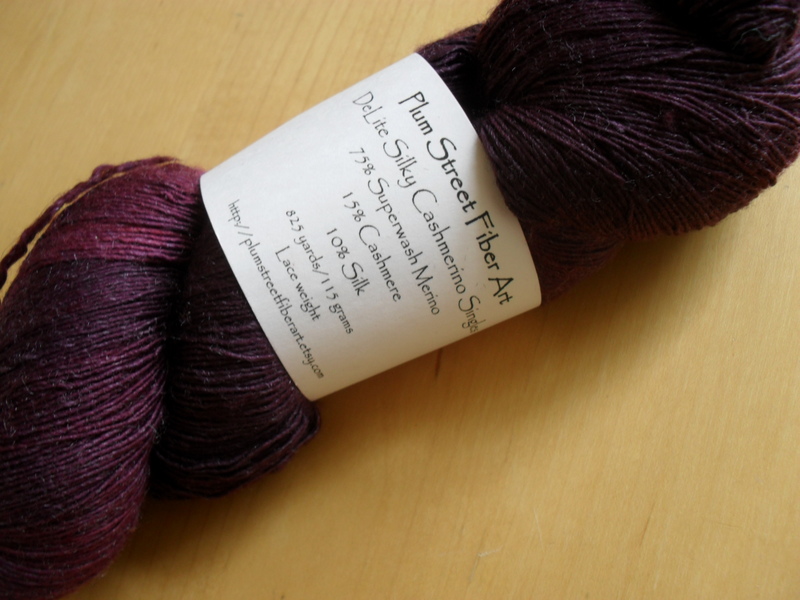 But this yarn was so lovely, and it was calling out to me, and I was dying to knit something from “Victorian Lace Today” and … so I started. Now I’m adding a edging, which is given as “Mrs. Hope Vandyke’s”. 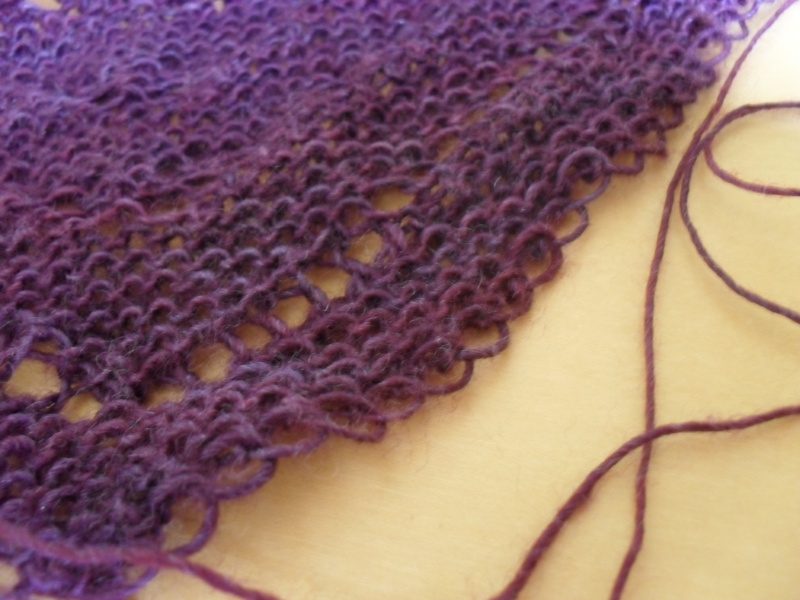 It works great, and certainly adds a lacy and victorian feel to my shawlette. The only difficulty was working aound the corner, as the technique of doing a double-join every other stitch didn’t seem enough to carry me all the way around the corner. 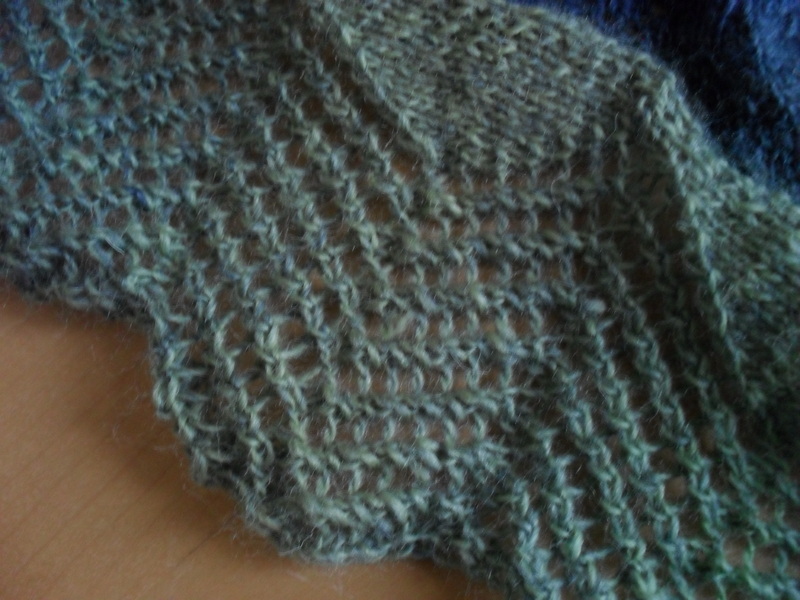 I added in some short rows, and that seems to have done the trick. 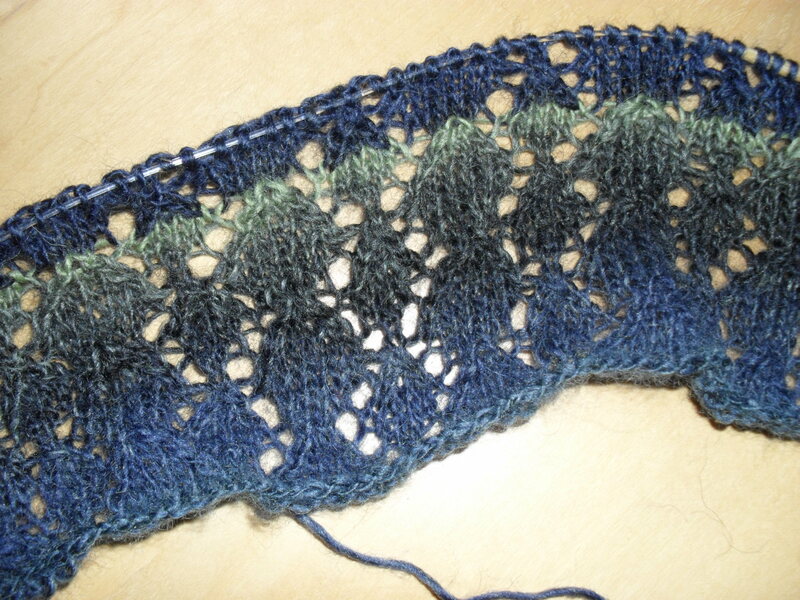 Will see after blocking.